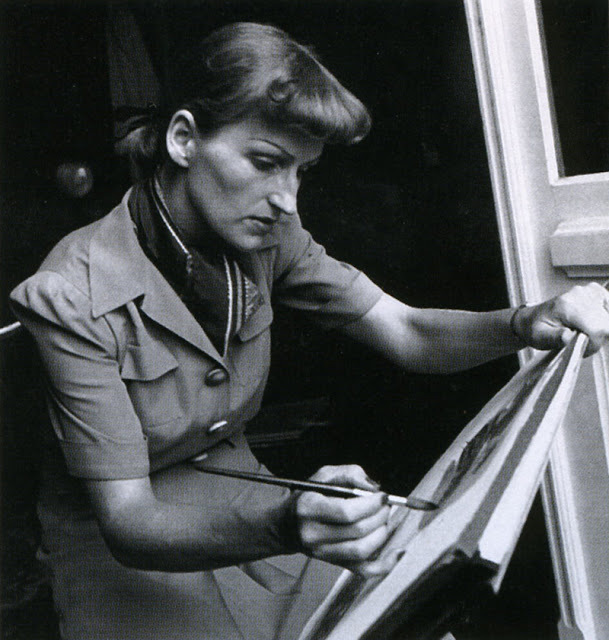 If you haven’t heard of Mary Blair (1911 – 1978), you’ve seen her work. In fact, if you’re familiar with “It’s a Small World” at Disneyland, you know her style. Those striking colors that don’t follow rules. The doll characters that came straight from her illustrations. The flat cut-outs and patterns. 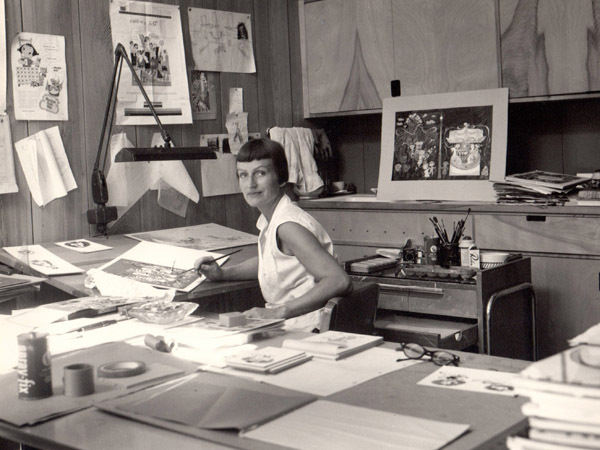 Aside from working with Disney on conceptual art for animated films (Cinderella, Peter Pan, Alice in Wonderland), Blair illustrated children’s books. Five of them. All Little Golden Books in the 50s and 60s. And those five books are in a compilation! 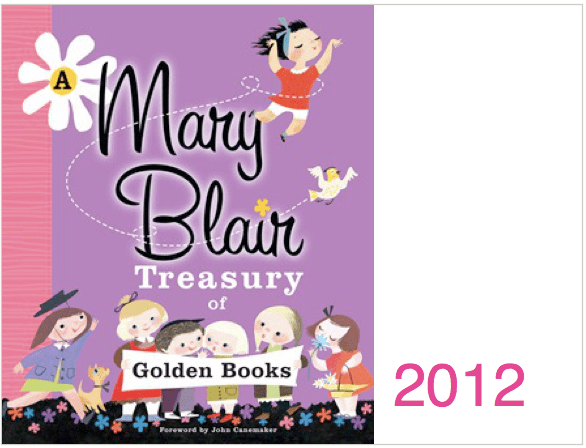 A Mary Blair Treasury of Golden Books! It’s glorious and I’m giving one copy away at the end of this post! Stay tuned. Baby’s House (Little Golden Book Classic) written by Gelolo McHugh. Looking at Blair’s illustrations, I see joy, whimsy, and imagination. Even in the more restrictive era in which she lived, I see a disregard for shoulds and an embrace of coulds. The baby in Baby’s House plays with dolls and flowered hats AND balls. In fact, I really can’t tell what gender baby is. Which is a good thing! 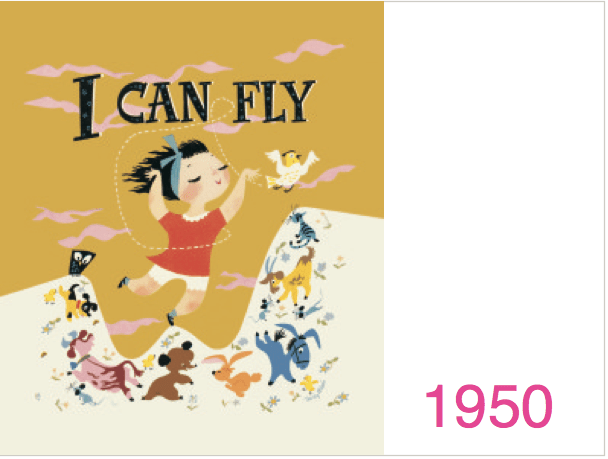 I Can Fly written by Ruth Krauss (who will get her own post here one day for sure!). This one is full of coulds and cans! In fact, the I in the book, the little girl, can be like any animal she pleases. My favorite detail is how her outfit and hairdo always mimic the animal she’s mimicking. Look at that white ruffly dress sticking up in the air! 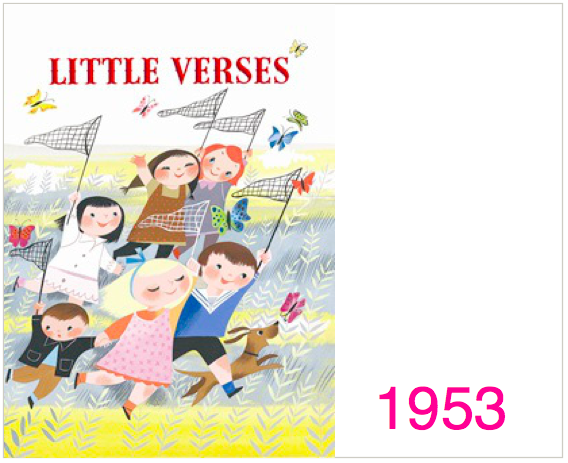 Golden Book of Little Verses written by Miriam Clark Potter. New Golden Song Book by Norman Lloyd. 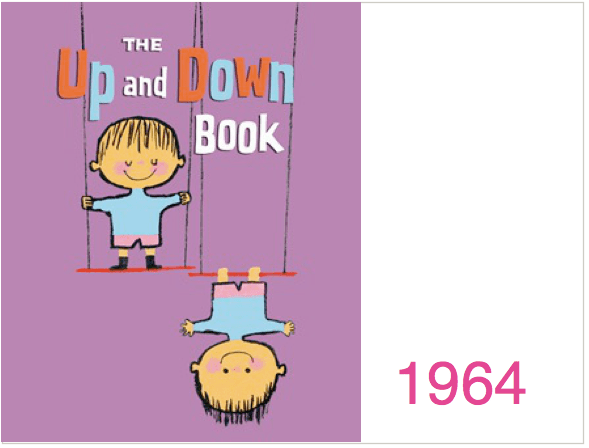 The Up and Down Book. I love Blair’s progression to these super bold, graphic, even sparer illustrations in this one. It’s like she’s turned up the volume on her earlier pastels but they’re still distinctively hers. If you’re lucky enough to be near San Francisco before September 8th, you can see the Walt Disney Family Museum’s exhibit all about Mary Blair! How I wish I could visit. Best of luck and I hope you’ll check out my first two Their Picture Book Life posts if you missed them! WE HAVE A WINNER! CONGRATULATIONS TO NICK AND THANKS TO ALL WHO STOPPED BY HERE AND ENTERED! That art–it’s so alive! The compilation looks beautiful. 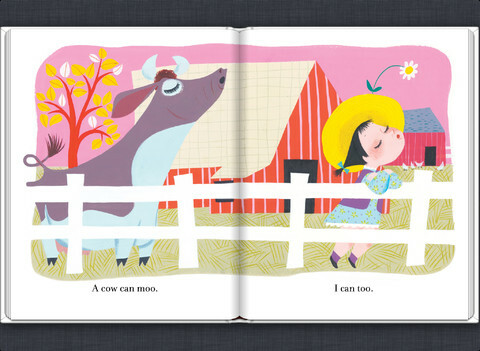 I L-O-V-E Mary Blair’s work, and collect the picture books her artwork is in! This is a great post. Such vibrant artwork! Such I big fan of Mary Blair’s work. Wow, this is fascinating…thanks for connecting the artist to the work…I wish I could go to that exhibit in SF!! Love her work!! It demands so much attention – and I adore that! I want these. Give these to me. Lovely post – thanks for highlighting more of her work! Ms Blair is new to me! Thanks so much for introducing her. I’m fascinated! Oh my goodness! Gorgeous. And, I CAN FLY? Sheesh. 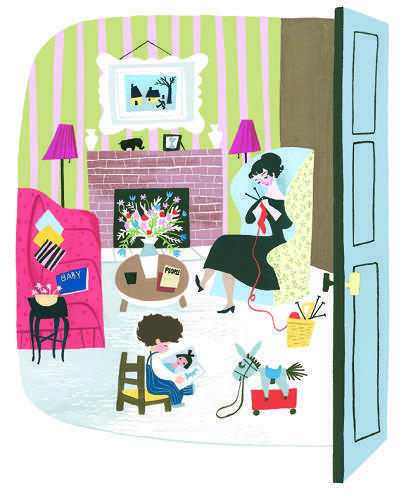 Mary Blair’s use of color is so amazing! Thanks for having a giveaway with her treasury book! Mary Blair is my color guru. I don’t know how she did it. 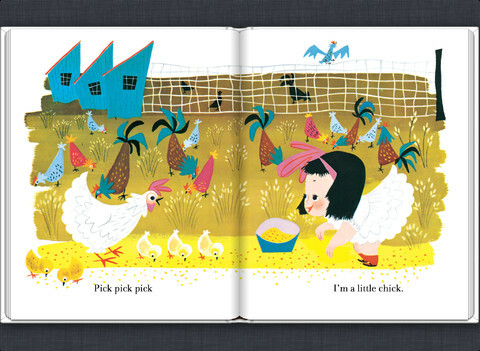 I love Mary Blair’s work! Whoa. Great use of color–and I ADORE the little girl as a little chick.